If you’ve been stopped by a police officer and you have been drinking, you will immediately be suspected of OWI (Operating While Intoxicated). The officer will be suspicious regardless of whether you are actually intoxicated or impaired. First, remain calm. Be polite and courteous at all times. Do not be defensive, wise crack or jock with the officers. Police work can be dangerous and difficult, and approaching a strange car at night with no backup is stressful for them as well and it can often be dangerous. The police have to treat every driver as though he or she might be a danger. Next, you should have your diver license, registration, and insurance information handy. If you do not have a driver license, you will be looking at a possible charge of DWLS (Driving While License Suspended) as well. If you wait until you get pulled over to get the paperwork, you will likely be nervous and upset. You will probably fumble with the papers in your glove box, wallet, or purse and this is exactly what the officer is looking for as a sign of intoxication. Your driver’s license should be in an easily accessed area of your purse or wallet. You should avoid talking any more than absolutely necessary. The police are looking for you to slur words or talk in a way that is not clear. Any evidence of unusual speech or slurred words can be used against you if it provides evidence that you may be intoxicated. Often times, the officer’s first question is “Do you know why I pulled you over?” You should answer “no.” You can’t read the officer’s mind and “no” is an honest answer. This trick question is designed to get you to admit that you were speeding or that you went through a red light or something similar. Do not fall for it. You may be asked where you are going or what you are doing out so late. Just answer, “I’d rather not say.” You have a Fifth Amendment right not to answer questions. You have nothing to gain by telling the officer where you were. A traffic stop is not a popularity contest and the officer is not going to make a decision not to arrest you for OWI because you were cooperative and answered all of his questions. Be polite at all times but you do not have to answer questions and it is not smart for you to do so. 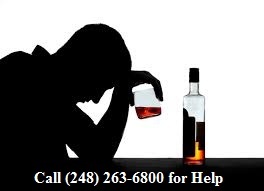 You may be asked “How much have you had to drink?” or just generally “Have you been drinking?” Again, the answer is “I’d rather not answer.” If you admit to drinking, you hurt yourself. If you lie, you hurt yourself. Just politely say, “I’d rather not answer.” If the officer asks you how much you’ve had to drink, you should simply say “I’d rather not answer.” Saying “I forget” implies that you were drinking and that you were drinking so much you can’t remember. Saying “a few beers” or something similar is admitting that you were drinking, which helps let the officer arrest you and take you for a breath or blood test. Even if it is obvious that you have been drinking, you should not help the police make the case against you. Essentially, you should say nothing in response to these questions. At some point, you will be asked to step out of your car. You should comply and be as cooperative as possible at this point. You cannot refuse to exit your car and you cannot refuse to let the officer pat you down for weapons. The officer may start telling you to do sobriety tests. 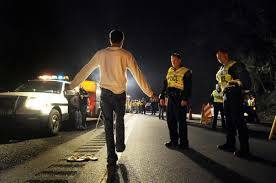 You are not required to do field sobriety tests (such as following a pen with your eyes, standing on one leg, walking on a line, or saying the alphabet). You should NEVER do field sobriety tests. The officer will not tell you that you are allowed to refuse. The officer will simply tell you to do them. You may next be asked to blow into a handheld portable breathalyzer, also known as a PBT. This is called a “preliminary breath test.” Unless you have a commercial drivers license, you should refuse to take a PBT. Refusing to take a PBT is a civil infracting and caries no points. There is almost always no advantage in taking a PBT. If you follow these steps, you are likely to be bullied and threatened by the police. They will not be happy that you are not helping them to build a case again yourself. They may have your car towed. They may tell you that they won’t let you go home that night. No matter what they tell you, it is unlikely that you are not going to be arrested anyways at this point if they suspect you of OWI. 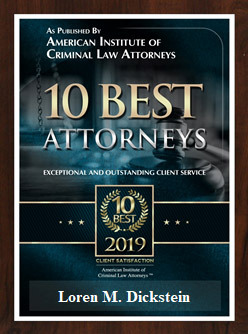 On the other hand, at a later date, if you are charged with OWI, you will have done everything that you could do to help yourself on the night of the offense.